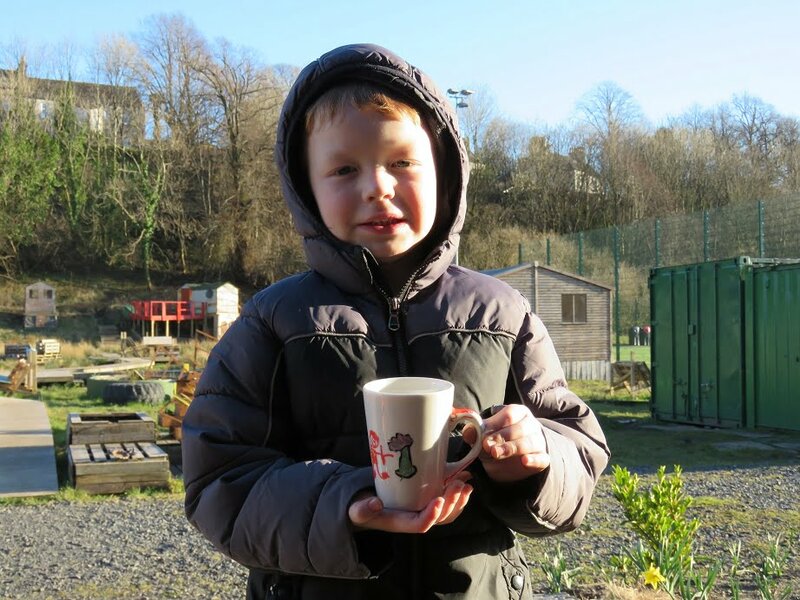 So William what is your earliest memory of growing up in Beith? Burnside of roughwood cottage, field outside,burn at the side and a small garden. A short walk into Beith. It’s that time again where we speak to some of the amazing people working at Beith Trust. This time around we’re speaking to Peter, a team leader. Tell everyone a bit about yourself? I’m 40 years old man who had a hard paper round in my teens . On an honest note, I’ve worked welfare& work sector for 25 years, as a manager, I also enjoy helping Essential Plus alongside my wife Marianne. 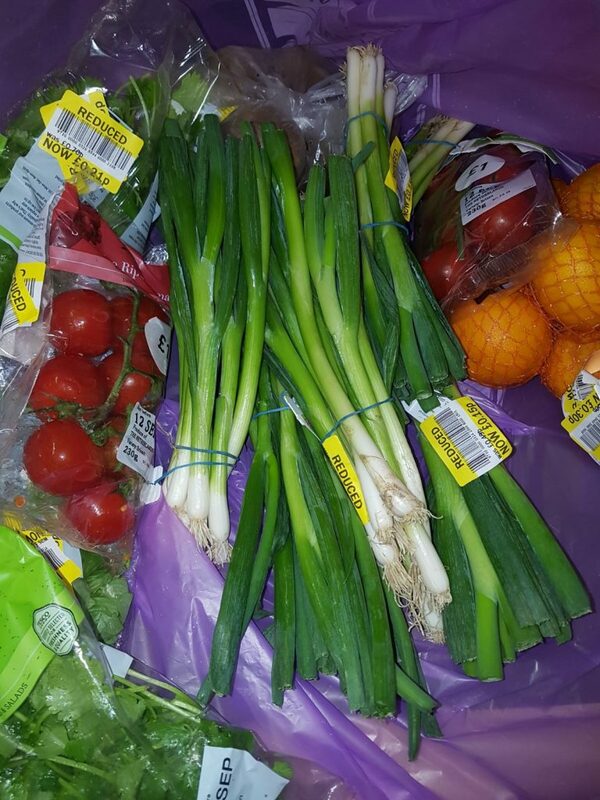 I enjoy seeing what our trainees achieve and moving them on to a positive destination. I enjoy all things 60s. 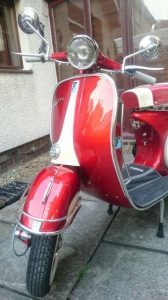 I own a 1971 Vespa and my best friend is my son, Joshua. 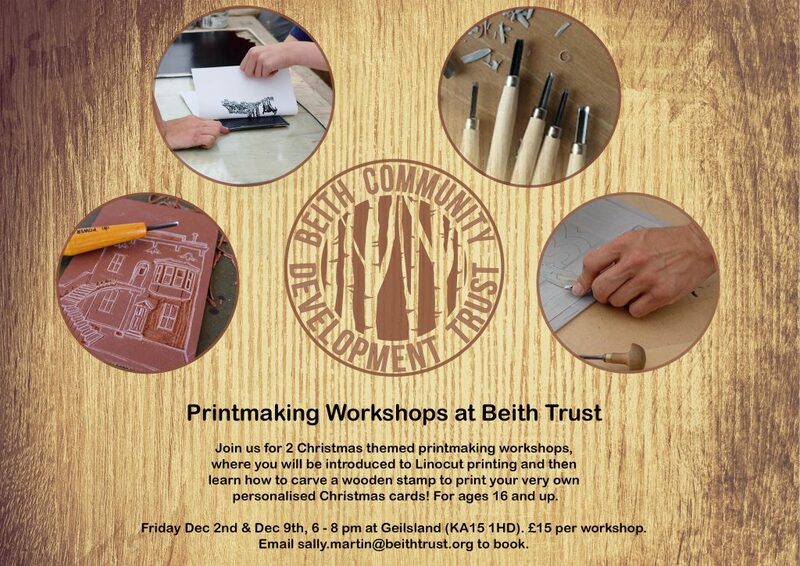 Why did you become involved with Beith Trust? 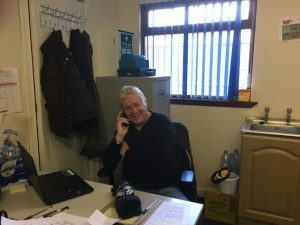 This opportunity of working for Beith Trust was an exciting prospect and with over 15 years of working as a manager, I know I could bring a lot to the job. The chance to get out from behind the desk and do some physical work again was exciting. Teaching the young team new skills and getting them involved in new training opportunities is just magic. 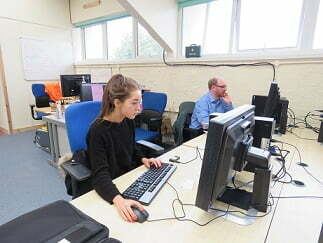 I’m training Robert Craig, my young apprentice to take his first training session with the trainees. It’s exciting times. 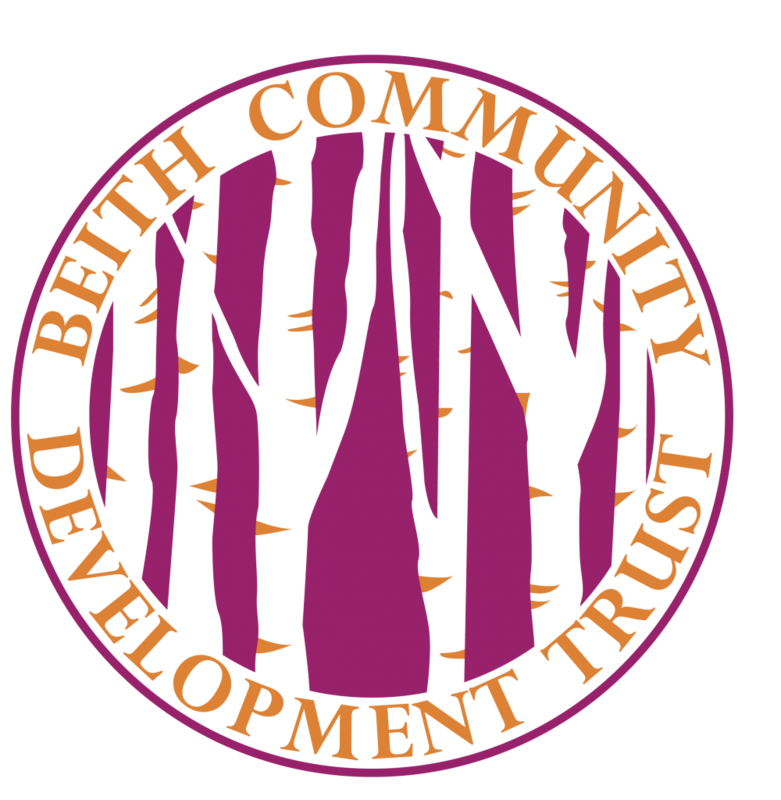 Today we’re chatting to one of the people doing a modern apprenticeship here at Beith Trust. Cameron McIntosh is one of those people. After finishing my college course I was told that Beith had opportunities for modern apprenticeships and I jumped at that chance. After an interview with Jane Lamont I was straight into learning and working. It all happened so fast, I wasn’t expecting it to happen like that but it did and I’m loving it. I’ve learnt so much over the days and weeks, it’s been great. Everything from working as a part of a team to being on my own. I’ve been learning about horticulture, gardening, maintaining a section of land and we’ve also been doing a bit of construction as well. 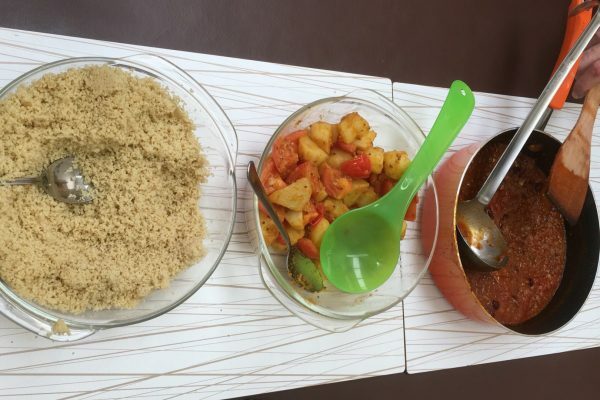 I’ve also been taking a cooking class as well, learning to cook different meals. Hopefully new job opportunities, a chance on progressing even further once the apprenticeship is over. I hope to gain new experiences once it’s completed. We’ll see what happens. It’s fantastic. The people here have been so helpful. They’ve kept me on the right path, just knowing that the support is there makes all the difference. 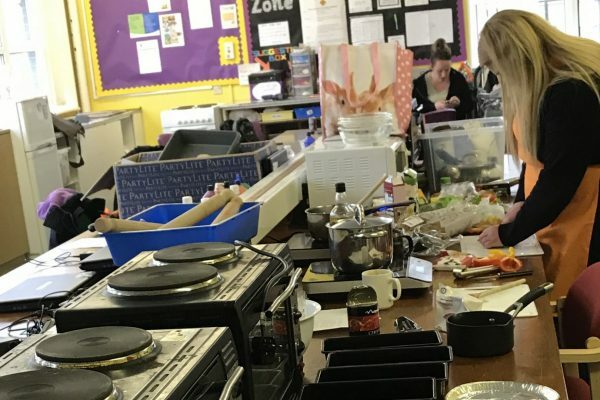 The staff treat you as one of their own, it’s a great place to come and learn. Some great news from the Scottish government this week. Check out the link below for more details. to check out the awesome bands playing this year. Not long to go now. Remember! tickets are £5. Festival starts at 1pm – 9pm. Plenty of food and drinks. 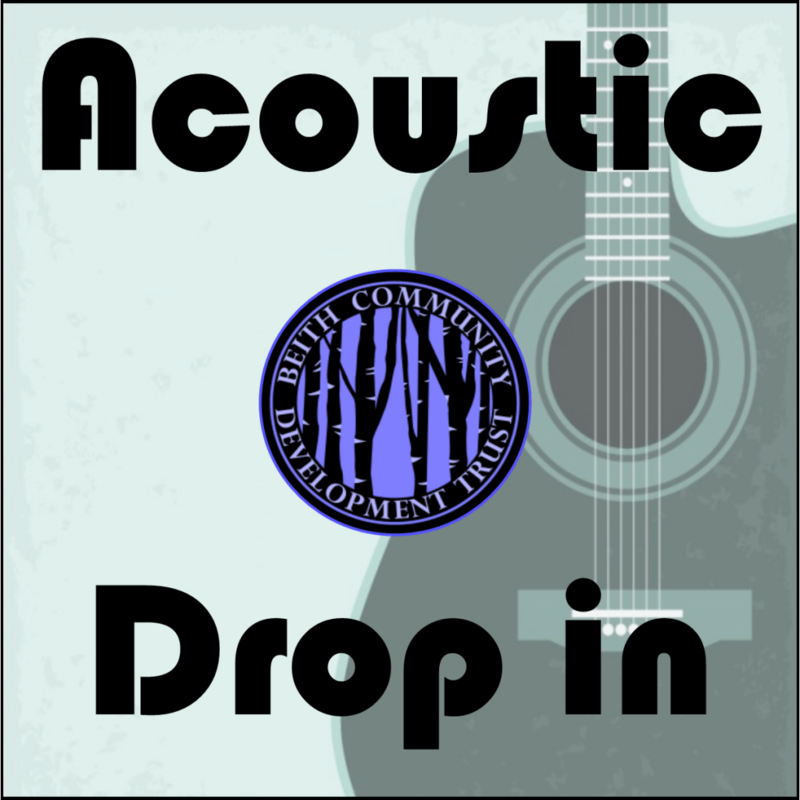 Live music as well. 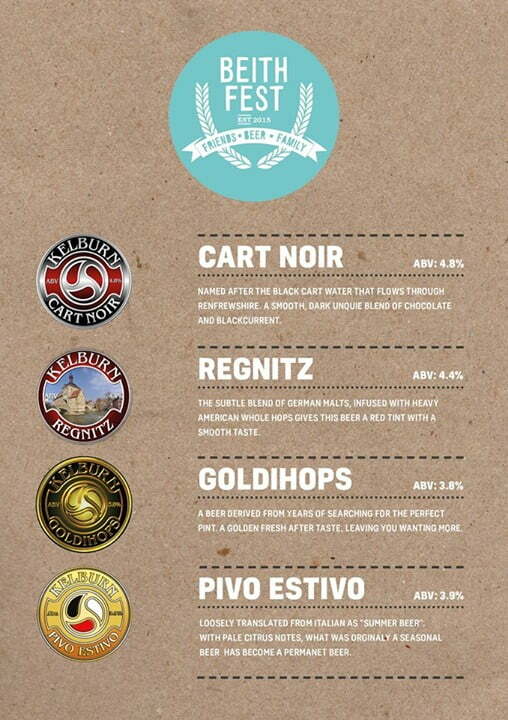 Just some of the awesome ale’s that will be at this year’s festival. Remember to grab some tickets! It will all kick off at 1pm and finish at 9pm we have homemade food and some awesome live music from local talents throughout the festival. 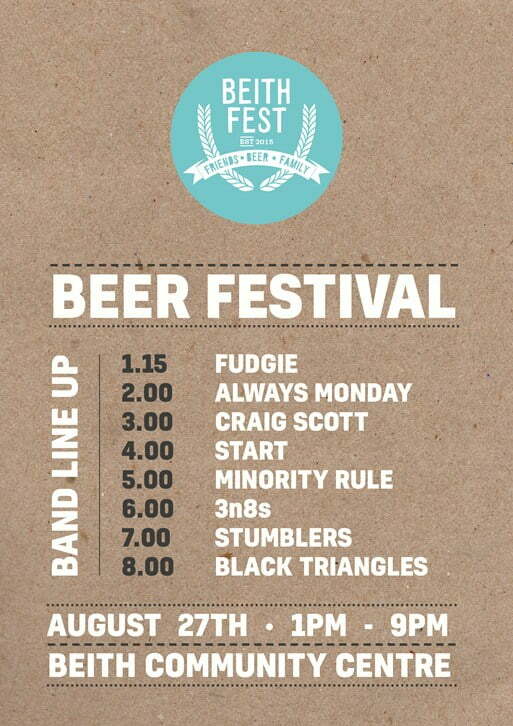 This is the complete line-up for the beer festival. It will all kick off at 1pm and finish at 9pm we have homemade food and some awesome live music from local talents. 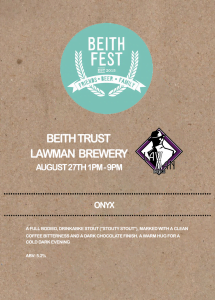 Beer Festival coming to a community centre near you…if you live in Beith. 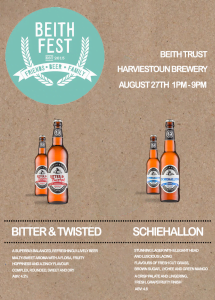 On the 27th August we have 6 different breweries bringing their beers and real ales to Beith alongside Thistly Cross Cider for those of us that don’t like beer. It will all kick off at 1pm and finish at 9pm we have homemade food and some awesome live music from local talents throughout the festival. Don’t miss out it is £5 entry and with that you will get a branded glass that is yours to keep. 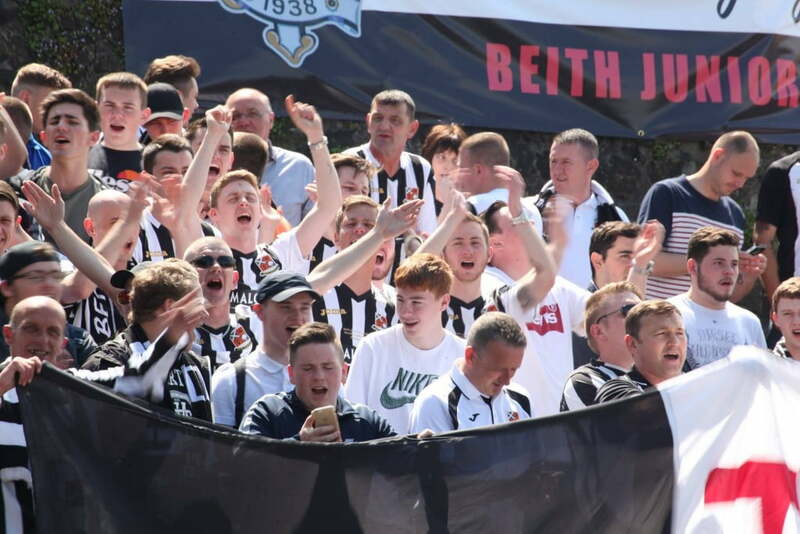 So it happened, first Scottish junior cup final, first Junior Cup, in the 78 year history of Beith Juniors it would be hard to find a better occasion. 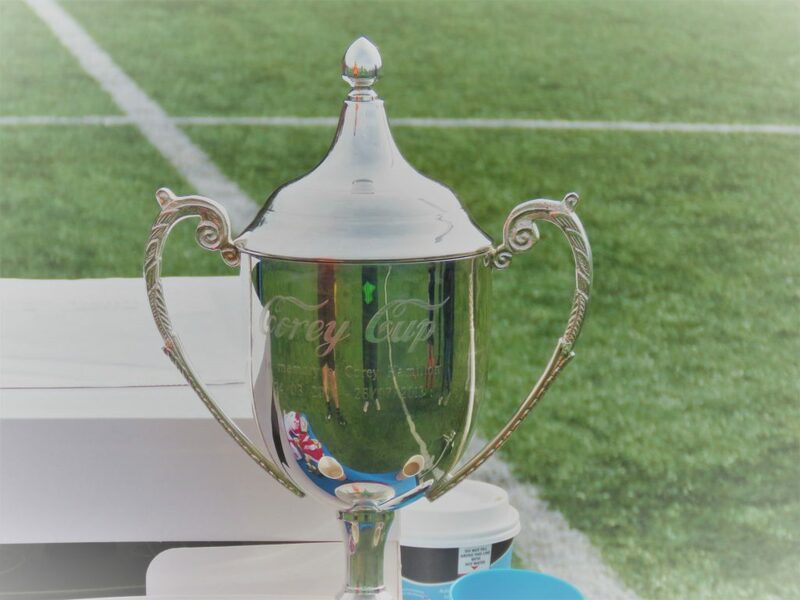 Throughout the ninety minutes then straight onto penalties there were cheers, jeers, tears at point’s relief, then an explosion of emotion, with more than a few hugs, clapping, whooping, more tears and shock on people’s faces that Beith had won the ETHenergy Junior Scottish Cup. Pollock started the stronger dominating possession, finding passes and looked like the favorites the bookies had made them. Winning every ball for the majority of the first half. Only a lack of clinical finishing, brave defending and goalkeeping from Beith Goalkeeper Stephen Grindlay prevented them from scoring and spared Beith blushes. On the 18th minute Beith lost Tommy Martin through injury being replaced by Jamie Wilson. A change of personal, tactics going from 4-4-2 to 3-5-2 and Beith becoming more confident finding passes and danger men. Meant that by the end of the first half Beith were not only more settled but had the best chance with Kenny Mclean’s volley heading net bound until Pollock Keeper John Longmuir tipped over his own bar. Although Pollock started the second half as they had the first, Beith were more comfortable, breaking with pace, guile and numbers, finding passes and creating opportunities. On the 59th minute Darren Christie hit a low left foot shot passed Longmuir which went into the far corner. The east stand with the Beith fans went crazy, I’m sure it rocked for the next 3-4 minutes, if Rugby Park had a roof the ovation would have taken it off. This was replaced by a nervousness as it suddenly became a reality that Beith could win the cup. While the Beith fans some still shouting others, sitting biting their nails wished the time would disappear, the Pollock fans seemed stunned, with a near silence at the main stand they had. Pollock reacted by bringing on Robbie Winters and Liam Rowan, and after a David Winters shot was tipped onto the post by Grindlay and a scramble, Robbie was there score to equalise. From then until the final whistle 15 minutes later both teams had chances to win the game with a David McGowan header for Beith and Robbie Winters shot for Pollock both coming the closest for their teams. So straight to penalties we went no extra time, penalties which can be a cruel, Mclean missed the first for Beith; Pollock took a 2-0 lead which disappeared thanks to saves by Grindlay and Beith scoring the others. Richie Burke stepped up and well the rest is history. 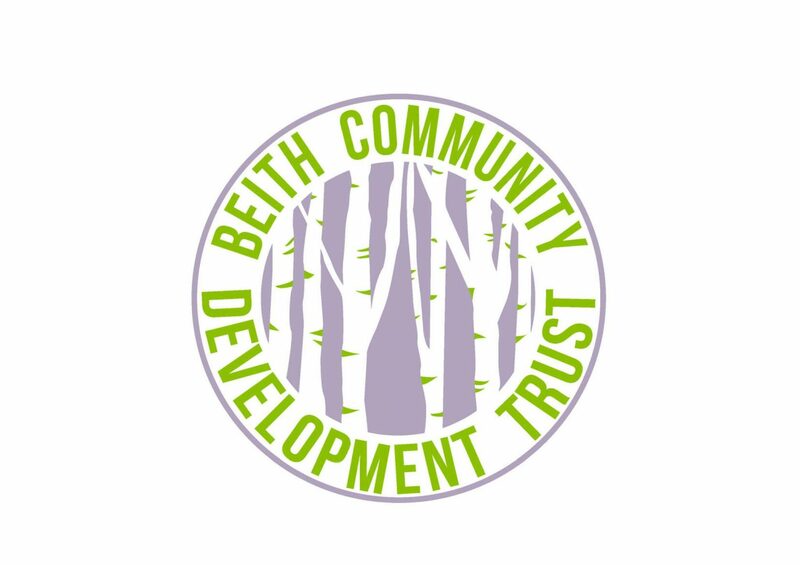 Today I started my work experience placement with Beith Community Development Trust, I am absolutely loving it so far and have only been here for one day! I’m given so many fun tasks to complete such as scheduling, sending group texts, photographing the campus and uploading photos to social media accounts. 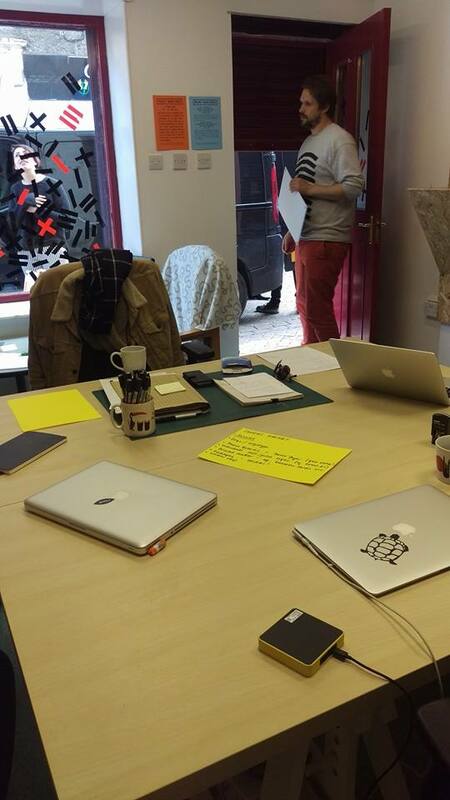 The working environment is so funny and friendly that work doesn’t seem like “work” at all. 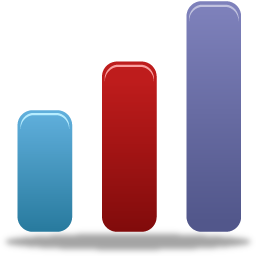 Already I’ve learned so many skills on the computer and other devices I’m using and I hope to learn more over the following week. I’m exited to photograph the groups and comply articles about them for social media as it’s right up my street. Furthermore, I have learned about the amazing things that are happening here and just how much it is shaping or community to be a better place, it’s a pleasure to be a part of something so big. 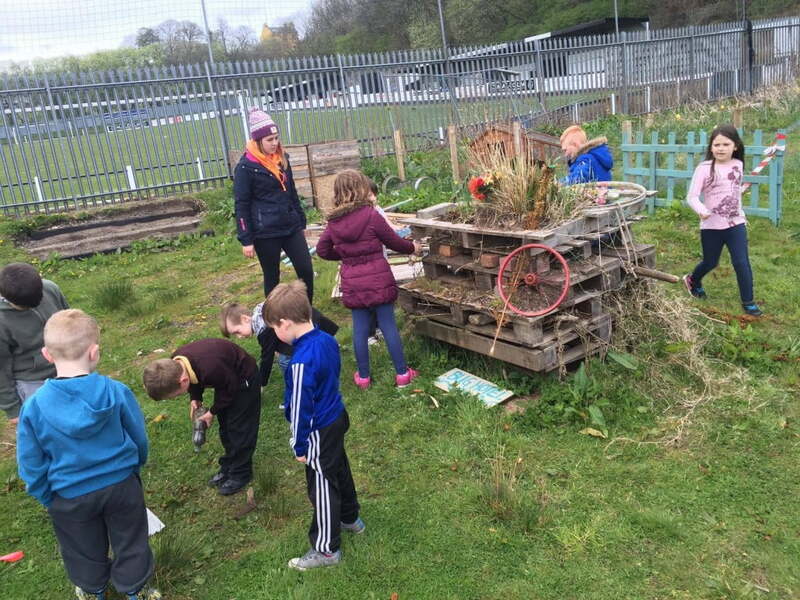 This week at Soup Group we decided that the Bug Hotel needed a spring clean for the nicer weather coming in. We got rid of all the old ‘furniture’ to make way for some new 5 star furnishings. 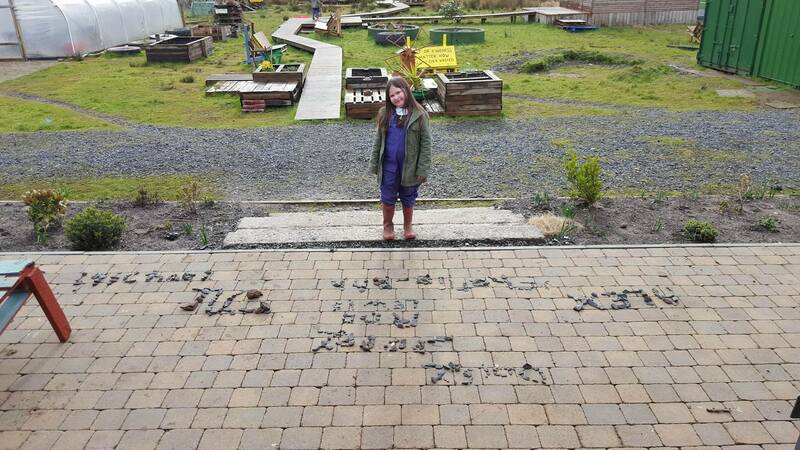 The Bug Hotel now comes fully equipped with a ‘football mud bath,’ a ‘plastic bottle sofa’ and a ‘swing made out of rubbish’ – every bugs dream! After getting muddy in the garden we headed over to the pitch and got all of our energy out playing pop up dodge ball, whats the time Mr Wolf and octopus tig. When then had a quick game of hide ‘n’ seek (a soup group favourite) before gathering around the fire for some vegetable soup and marshmallows! We cant wait to do it all again. 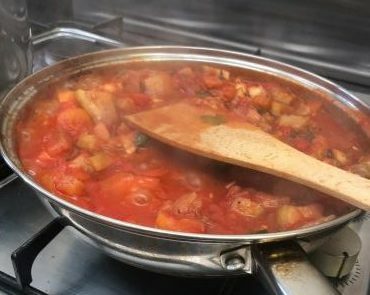 Soup Group will be off next week (11.05.16) and will be back the following week! 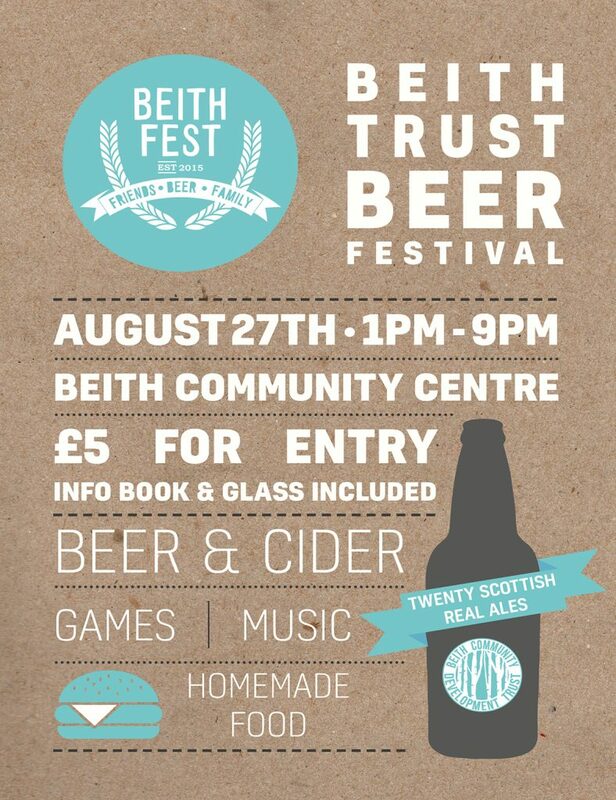 Well certainly you can’t say that about Beith Trust, if anything despite the pressure that often comes from organising events and implementing them they continue onwards. Yes I know readers you will say that I am being biased and seeing Beith Trust through rose tinted glasses and not acknowledging the issues in both the short and long term which can affect a group, this I assure you is far from the truth. Any of us who have ever been involved in any kind of event will acknowledge the issues both negative and positive that events can have pre and post implementation. On those involved and those who the event is aimed for. You have the theory, then there’s what actually happens, sometimes the two don’t exactly match up, which can in the long run actually result in something better than you originally envisaged. Then you have the balance between what you would love to do if time, money and other considerations weren’t an issue and being realistic. 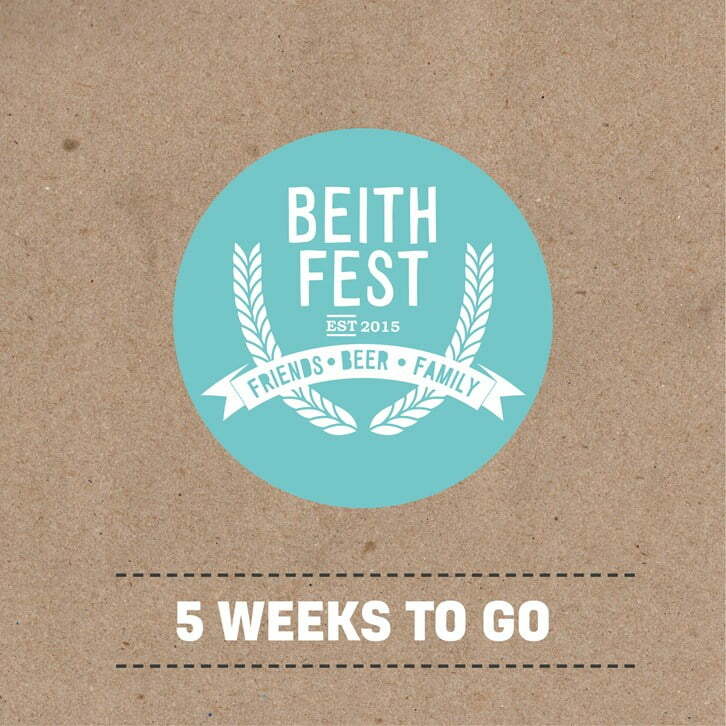 Over the next six months starting from April 19th-23rd 2016 Beith Trust will be working in collaboration with local businesses to improve the appearance and condition of Beith Main Street. 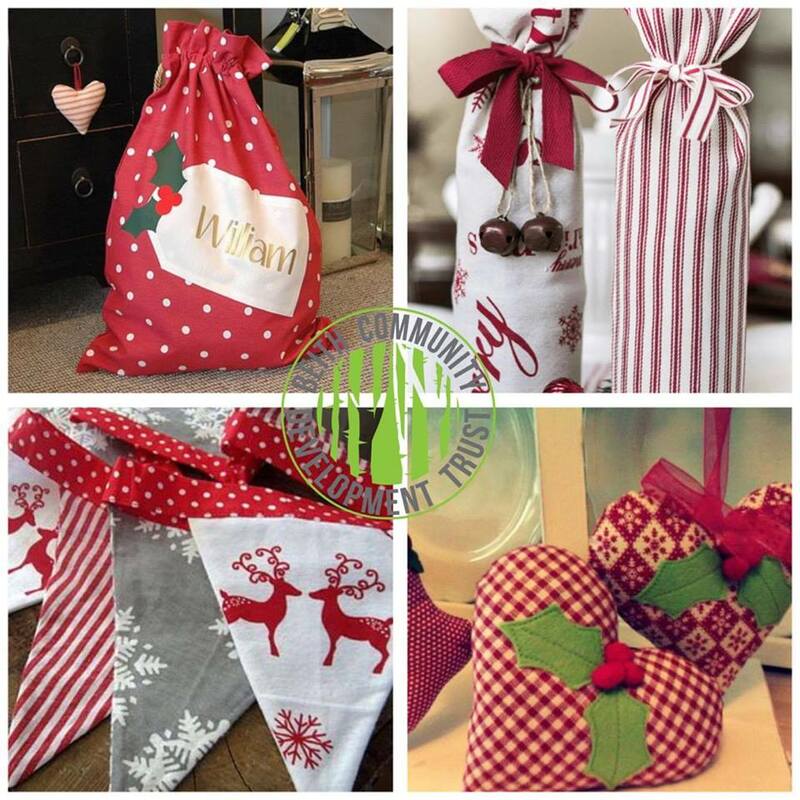 The starting event during this period is the a POP UP DESIGN Studio at 27 main street Beith offering free, impartial advice from professionals on a range of areas including shop front improvements- signage/menu, interior design and business ideas. This is open to all businesses in Beith or those in Beith who have business ideas but are unsure what the first steps are, or what is required in reality to set-up, maintain and grow a small business within a town centre. 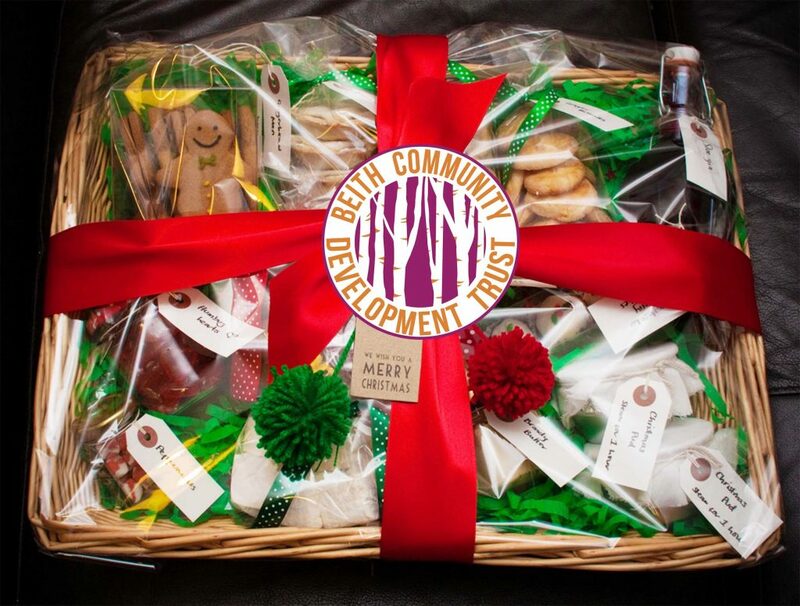 This scheme allows/gives opportunity for community networking on the ground rather than in a book/online which when flourishing can establish in some cases and reinforce in others joined up thinking between groups of all sizes, businesses in Beith established or new, the local press, local community and elected officials. 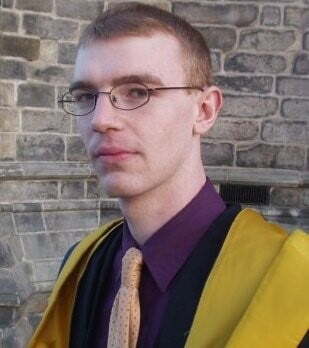 Which in turn redefines and redirects what Beith was, is and can be in the future as well as the Garnock Valley. Today’s events kicked off with lots of astro based fun playing games such as; capture the flag and dodgeball which used up a lot of our energy! We then moved onto drawing our very own chalk pictures on the ground outside of the astro using a diverse range of rainbow coloured jumbo chalks. Allowing our imagination to run wild and create masterpieces. After a full morning of activities it was time for lunch and another movie! After re-fuelling we went back outside to enjoy the sunshine with some hula hoop and footy fun on the pitch, check out our photos here. A great end to an exciting week where we created lots, and made new friends. The perfect way to spend our Easter holidays and make the most of the weather – well done kids see you next time! 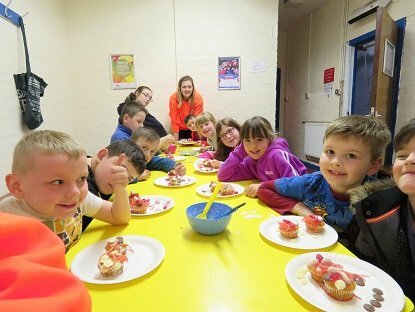 Playscheme Day 3 – fancy dress & mask painting! 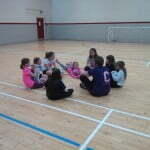 Another fun day today at Playscheme week! We completed lots of imaginative tasks such as painting and decorating our own masks and tiara’s with colourful paints and glitters, finishing them off with string. Continuing with a morning of creativity, we then moved onto some fancy dress fun! 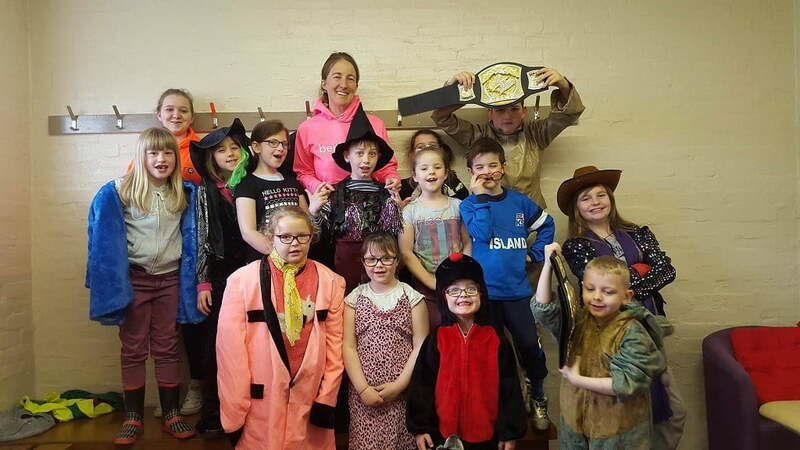 We got to choose our very own individual costume each in which we put to use in our talent show – showcasing our very professional and theatrical abilities. After our dramatic performances we then stopped for lunch and once again we were treated to a movie. Once we had finished our lunch we then moved onto writing down why we loved Playscheme and what we learned. 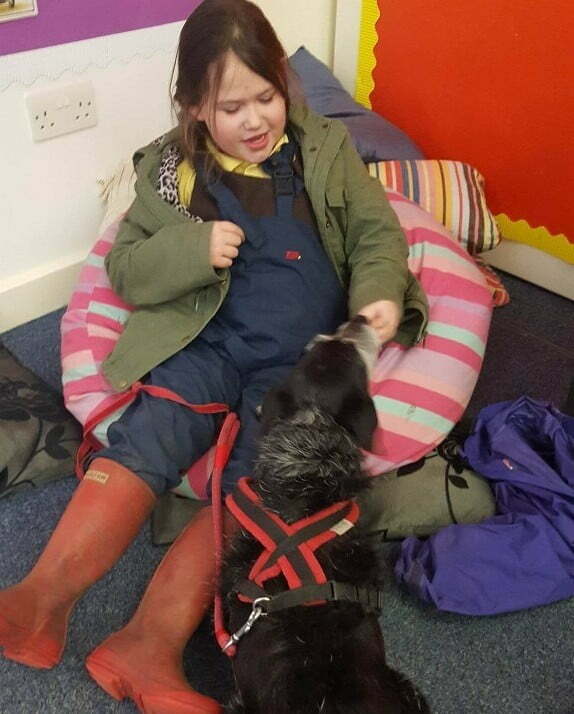 “The best is playing with the dogs, I enjoyed painting my mask” “the best thing about Playscheme is making new friends”. Well done everyone a great morning and afternoon with our new friends. 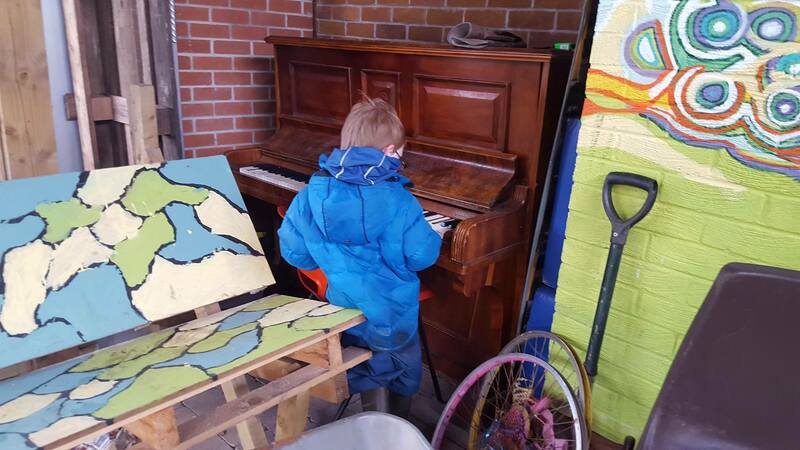 See you tomorrow for the last Playscheme day of the week! 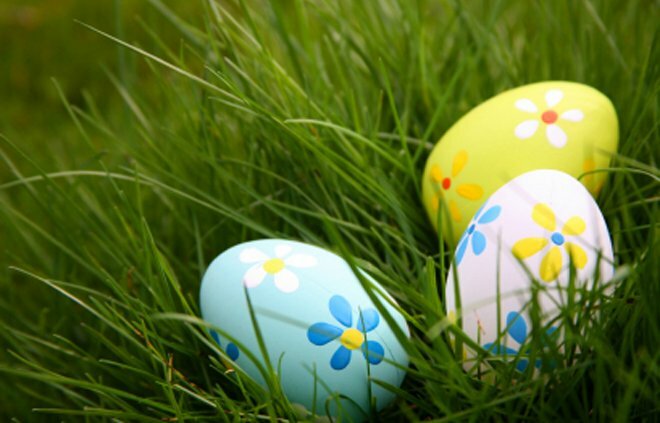 Easter egg hunt – day 2 of Playscheme! 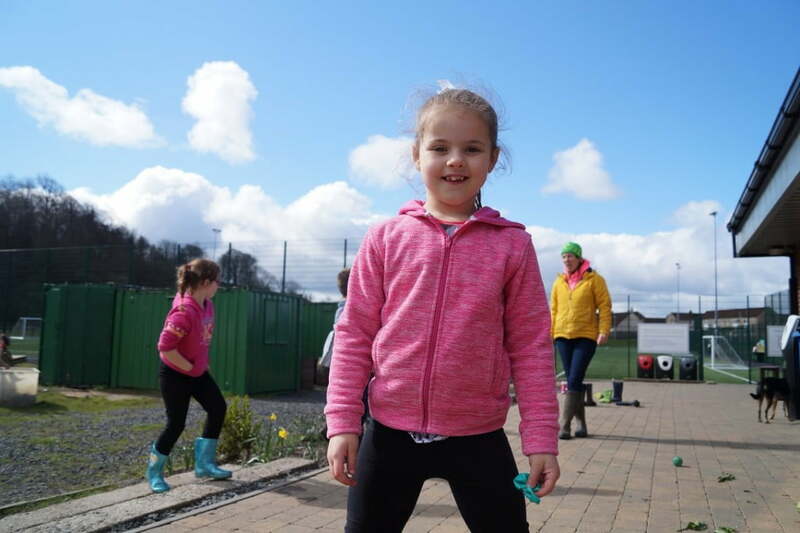 Day two of Playscheme was officially under way this morning and afternoon with the great weather encouraging our outdoor activities for the day. We began with a warm up of dodgeball on the astro turf to prepare us for some Easter egg hunting! Welly boots intact, we set out into the diversity of the garden using our observation and teamwork skills to spot the hidden chocolate eggs. “You have hidden these reaaaally well”. It had taken a lot of effort however we eventually gathered two tubs worth of Easter eggs through searching painstakingly and using our initiative. 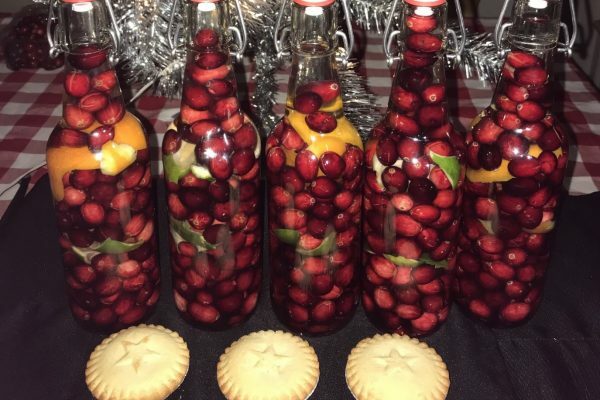 It is safe to say our prizes were well earned although the taking part was the real fun! We then began a game using cards which we had to search for random objects in the garden e.g something; curvy, thin, round, spotty etc. We then enjoyed another afternoon of having our lunch whilst simultaneously watching our favourite movie of Toy Story on the projector which is safe to say we thoroughly enjoyed (the most quiet we had been all day). 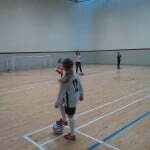 Well done everyone another action packed day filled with fun making new friends. See you all tomorrow for some more adventures! Check out our photos here. Today we welcomed back the first day of Playscheme! Day one of four we started out with cupcake decorating the first of many activities of the day to come. Using plain cupcake sponges we decorated them using our imagination and of course a variety of sweets! To continue with our creative agenda for the day we then moved onto some artistic paper plate painting from portrait to abstract styles – yet all very colourful! After using up all of our creative energy we then moved into changing room four to begin some team building games such as blind murder where we had to put all of our detective skills to use and find out the secret murderer! After a morning filled with fun we were treated to a movie whilst having our lunch break and finished off with some synchronised singing. Last but not least we ended the day with some astro toilet tig putting our teamwork skills to use again. 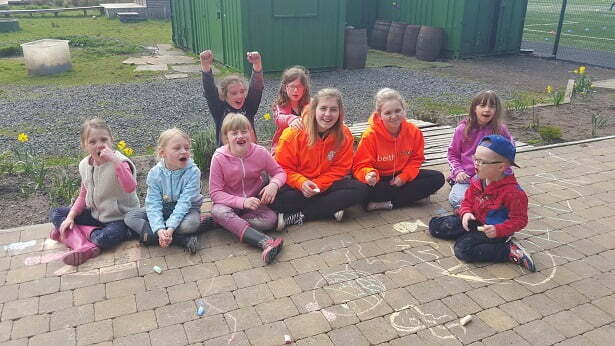 Everyone had a thoroughly great day and loves spending their Easter holidays at Playscheme and are looking forward to the rest of the week – see you tomorrow! Nurture Group Easter egg fun! 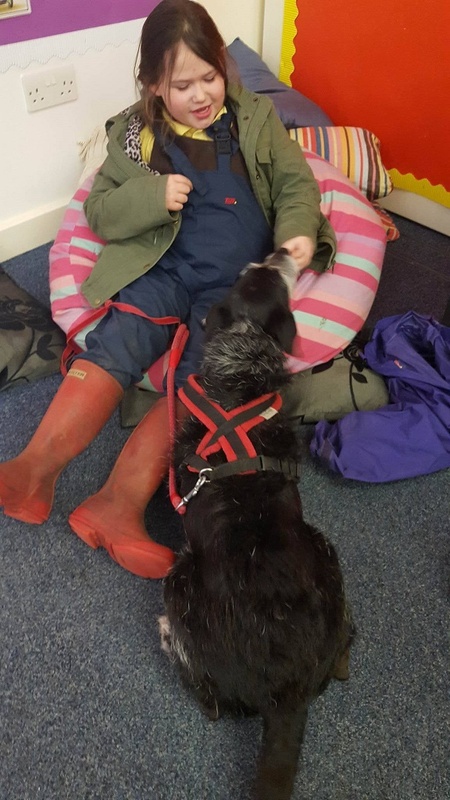 Yesterday at Nurture Group we completed various adventurous activities including the main activity of an egg hunt carrying on the theme of Easter. 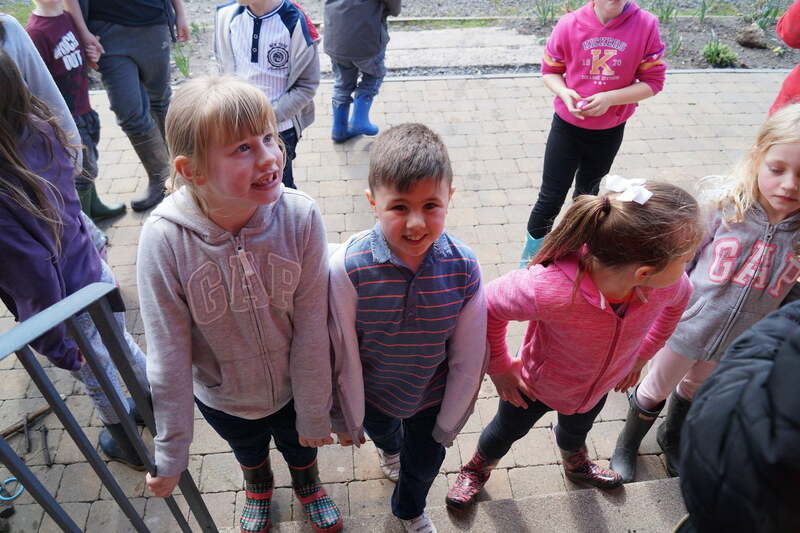 Through intense observation of the trees, treehouses and flower beds we began to quickly acquire many hidden Easter eggs which could not have been done if we had not put our highly practiced teamwork skills from attending Nurture group to use. 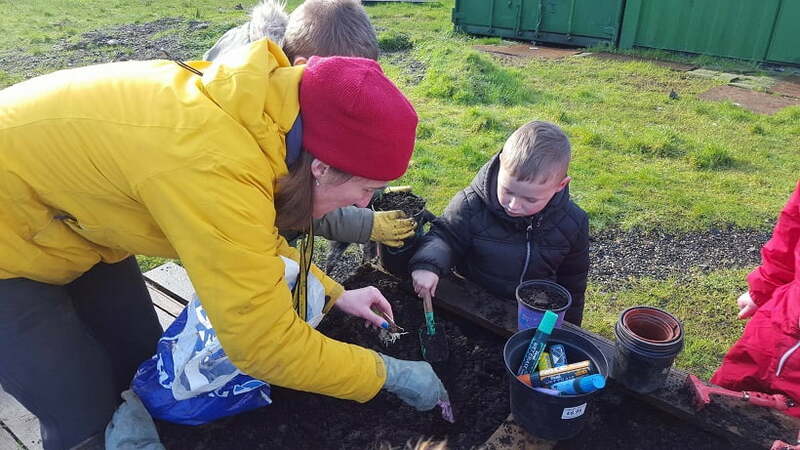 After successfully collecting a multitude of different Easter eggs we then moved onto exploring the diverse garden and checking up on our plants in the polytunnel which are growing steadily. Once we had given the plants and flowers a careful check up we then finished off with some further dog training; continuing to pet them gently, ask for a paw and lastly walk them on their lead properly. 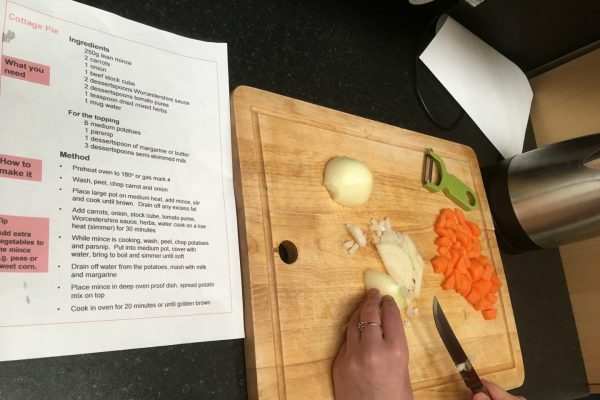 It is fair to say Nurture Group is giving us lots of new skills to learn each week which we can then put to use everyday with friends and in school. See you next week for some more Nurture fun! 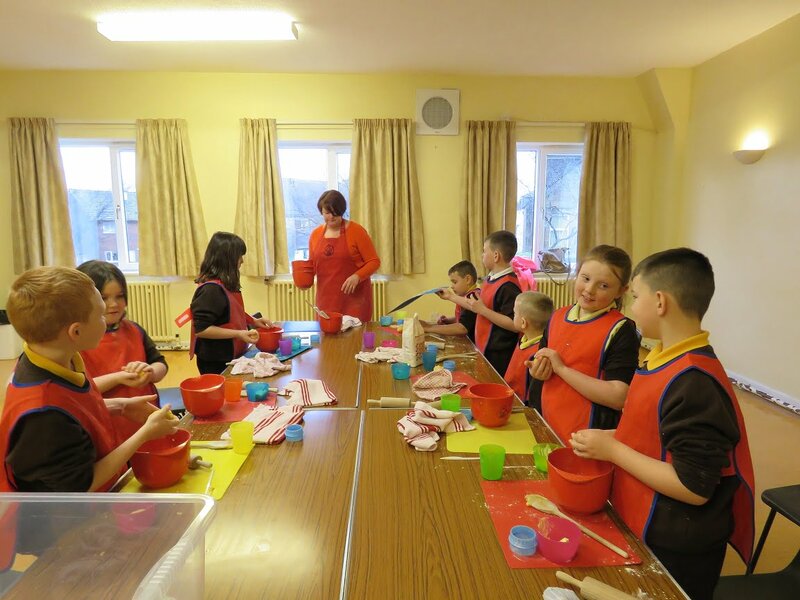 Kids Cooking Classes – the last bake! 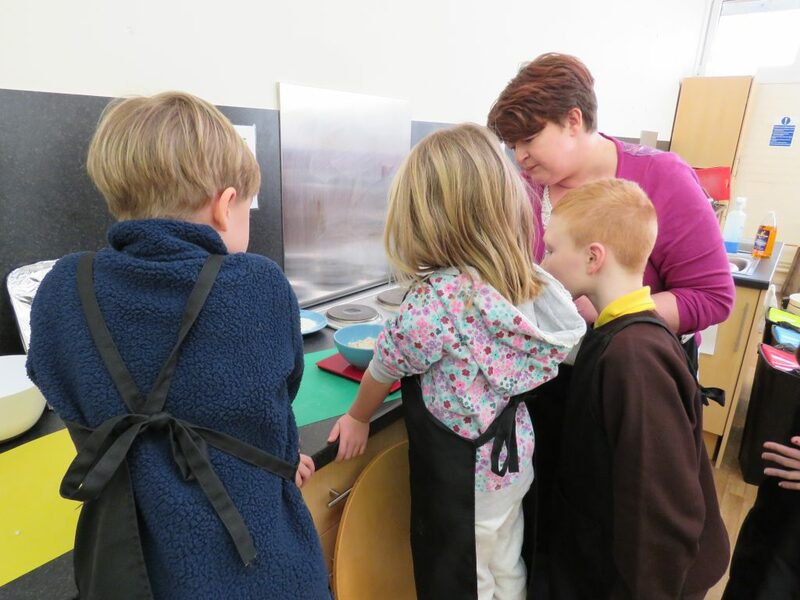 Yesterday all of our mini chefs gathered in preparation for the last session of Cooking Classes! 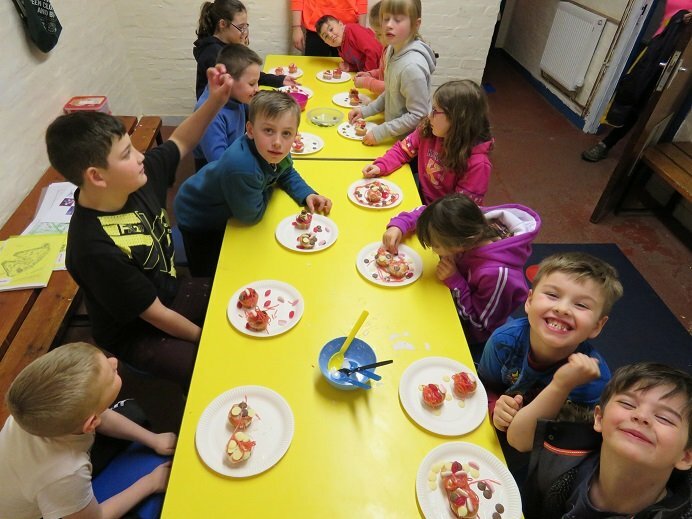 Our choice of recipe for this week was fruit tarts where we got to create and decorate our very own Easter masterpieces consisting of bunny faces with sprinkle covered marshmallow bunny ears, strawberry lace whiskers and blueberry eyes. 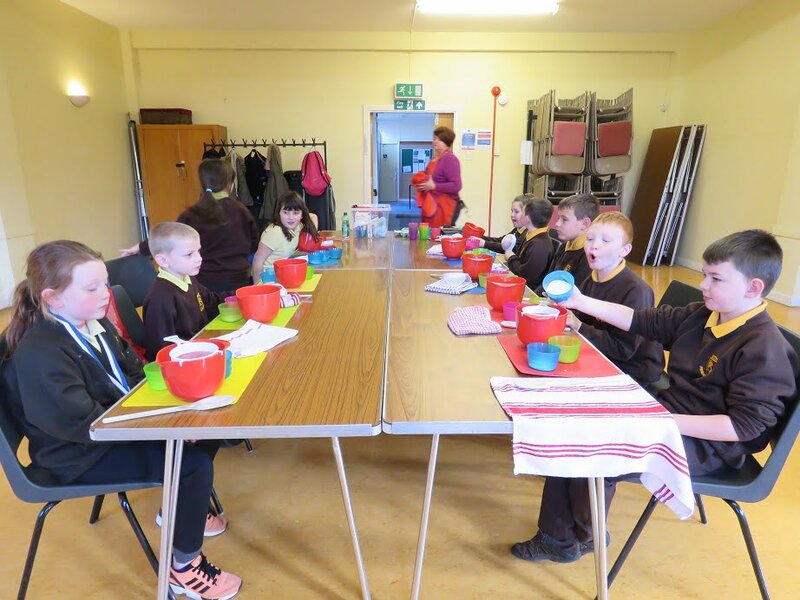 Aprons intact, we then began the method of making our own shortcrust pastry consisting of flour, eggs, butter and sugar which we combined together in our mixing bowls. Once we had mixed all of our ingredients together a dough was formed which we then rolled out on our mats ready for precise shaping with our dough cutters. 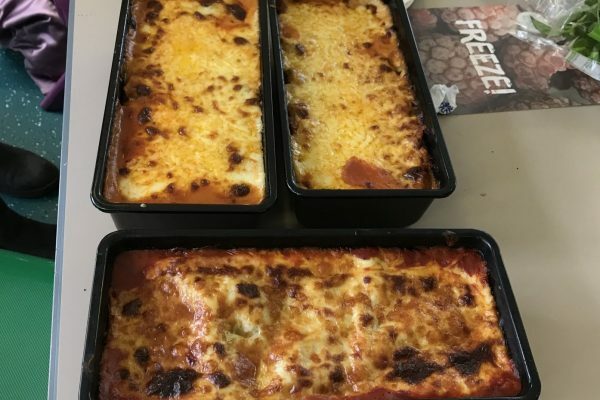 Six meticulously shaped dough circles later, all thats was left to do was to put them in the oven and patiently wait for them to reappear freshly crisp and risen. As our pastry tarts cooled down we used our creative design skills to then decorate our cream filled pastry tarts with bunny faces just in time for Easter! 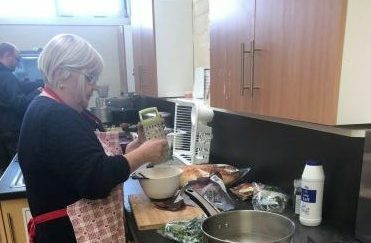 It was apparent that each week of our cooking class lessons had all contributed towards the progression of our newly learned cookery practical skills. 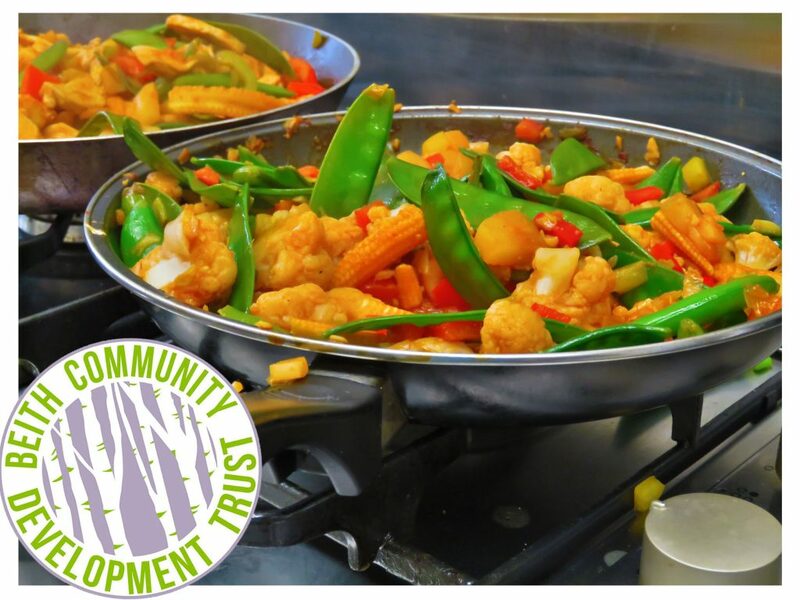 A great individual and team effort everyone – well done and we will see you for the next round of our cooking class lessons! On Monday the time had finally arrived for our long awaited campfire (in honor of National Down Syndrome Day) to take place and it was a soaring success. 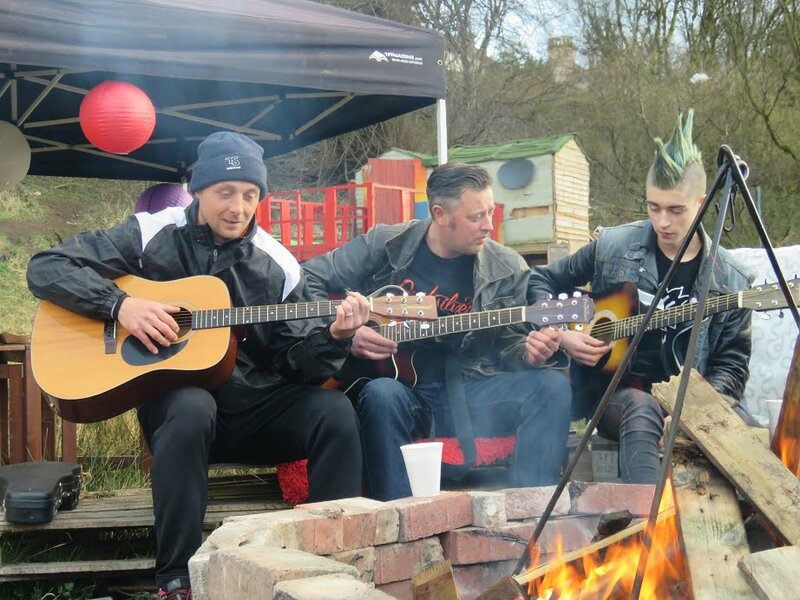 Lots of friends and some talented musicians gathered round on the wooden pallets around our self built authentic campfire. Where we were treated to some live entertainment which we all joined in on, singing many songs around the campfire. 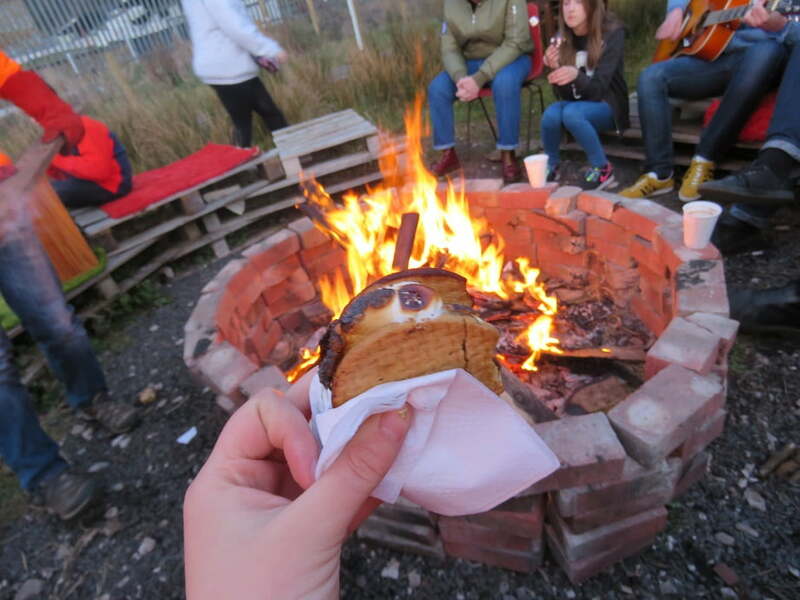 Whilst enjoying some talented performances we also put a twist on the traditional campfire snack of marshmallows and tested out toasting ourselves some s’mores! Consisting of marshmallow, a square of chocolate all sandwiched between a biscuit base and it is fair to say it was a successful new take on tradition! We also were treated to cakes and popcorn all to be enjoyed in a rustic yet luxurious environment with friends. All working as a team each of us contributed to the evening by putting wood in the fire, toasting our s’mores and singing together. The perfect way to enjoy an outdoor evening. Although our intention of the evening was to have a great time with friends our main purpose of the event was to celebrate and contribute to National Down Syndrome Day. Through an enjoyable and successful evening we managed to we contribute to the cause of National Down Syndrome Day and raise thirty-four pounds! Thanks to all who took part on a wonderful evening to recognise and raise awareness of National Down Syndrome Day! 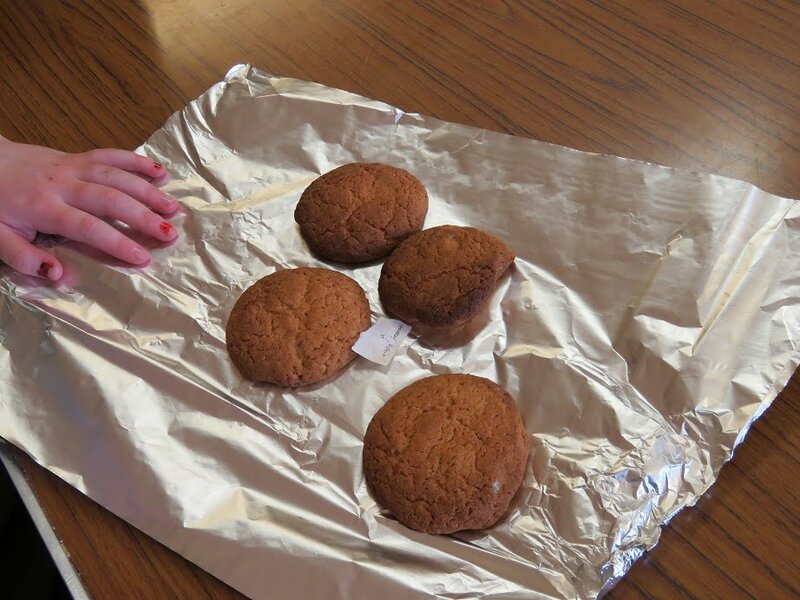 Kids Cooking Classes – smarties cookies! Another successful week at cooking classes with the exciting news of finally baking some rainbow smarties cookies! 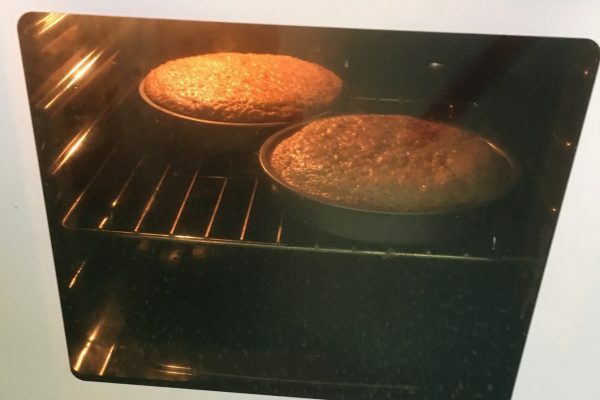 We began with sieving our plain flour, baking powder and bicarbonate of soda into our mixing bowls and then adding our next ingredients of butter into the mix. Once we had combined our ingredients we creamed together the butter and sugar until pale and fluffy. 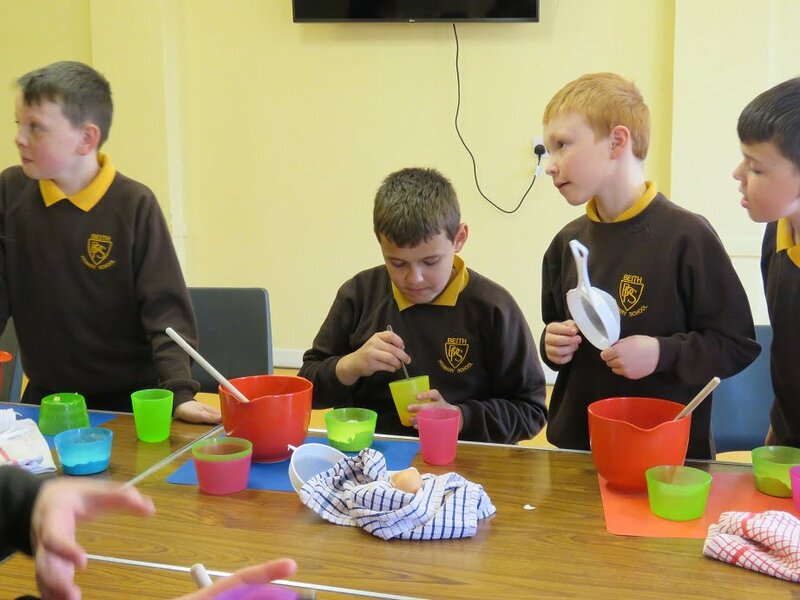 We then worked as a team to crack, add in and beat the egg into our mixing bowls and added in a dash of vanilla extract. 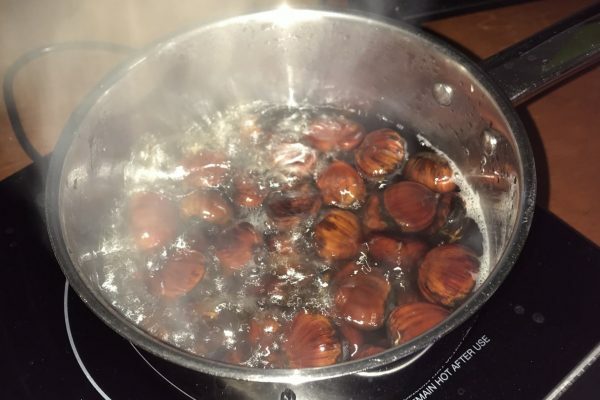 After gradually beating in the egg and sifting in the dry ingredients to form a stiff dough, we then added in our final and most important ingredient – smarties. 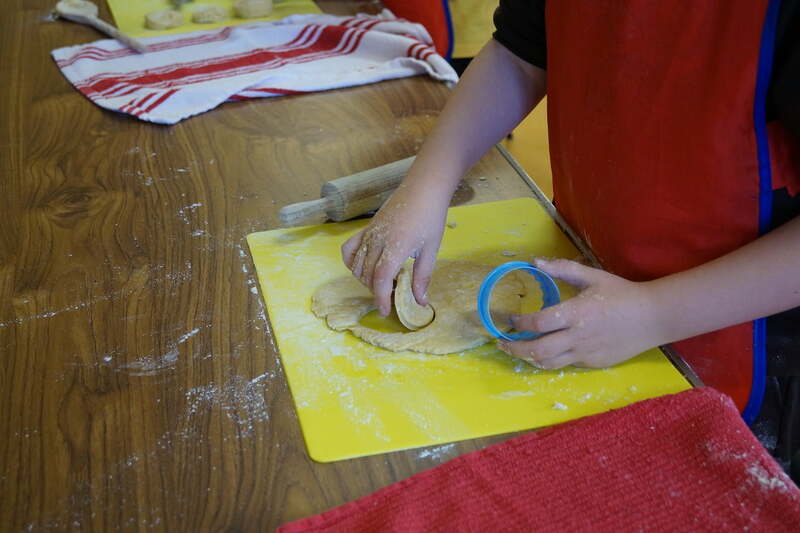 Last but not least of today’s cooking class methods we rolled out our dough using rollings pins and finally divided our mixtures into individual shapes before placing on our baking trays. As our well made cookies rose proudly in the oven we chatted amongst ourselves waiting patiently to have a taste! Just as we’d hoped our freshly baked smarties cookies looked and tasted great. 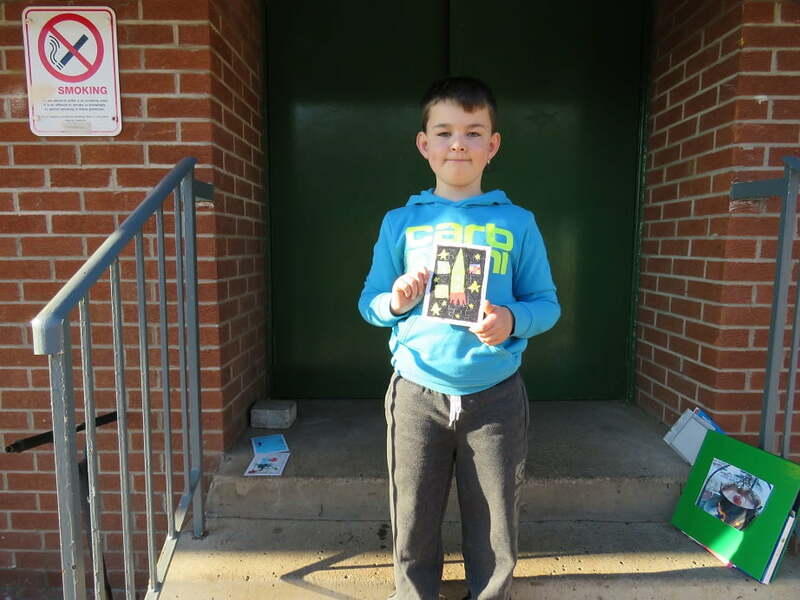 Our skills are improving each week – well done everyone! Yesterday at Soup group we began our first of many creative tasks for the day starting off with crafting our own jigsaws. In preparation for a test of puzzle solving we started off with jigsaw templates and drew our very own design onto the ready prepared jigsaw template, we then scrambled up our jigsaws which meant there was only one thing left to do – put on our thinking caps and solve! Check out all of our photos here. 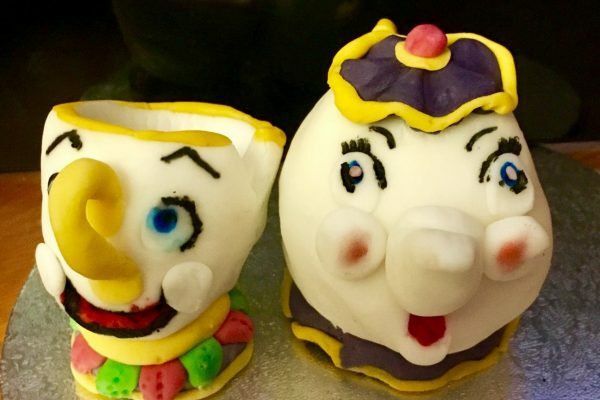 After all of our creative hard work we then moved onto more expressive fun by using our new mugs as a blank canvas for us to then transfer our imagination from mind to masterpiece using a multitude of colour paints which produced our final outcome of successful designs. We then moved onto our activity of the day, hide and seek. Where we peered, ducked and dived laboriously behind many spaces of the garden. 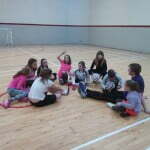 Helping to keep us fit and healthy whilst having fun with friends! To finish off an exciting evening of activities we had soup and marshmallows with all of our friends the perfect end to a fun day. 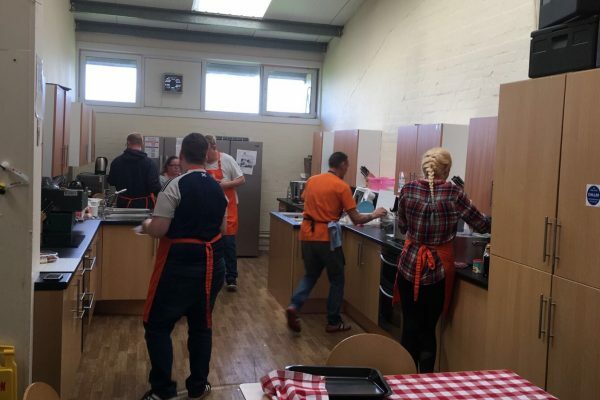 Another successful week at Soup Group! 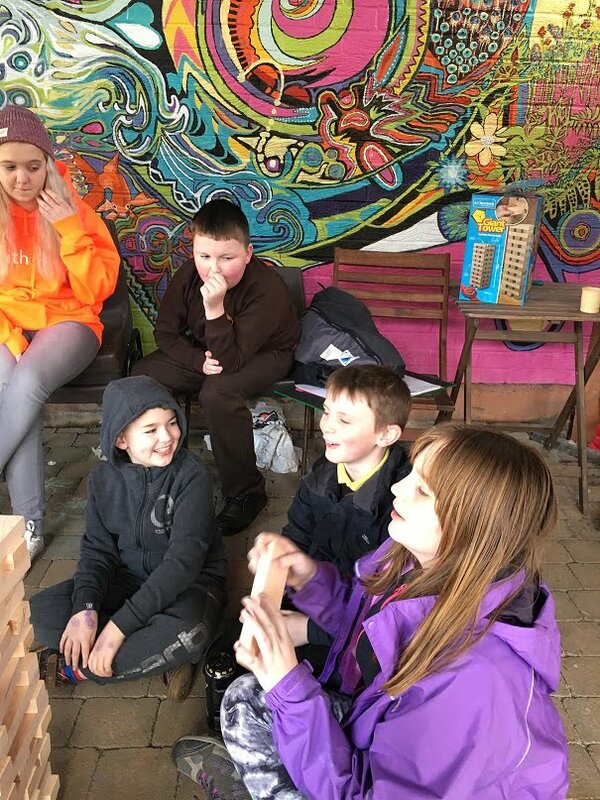 Consisting of building a various amount of skills such as; communication skills as we learned to work together and communicate with our friends in a team environment. 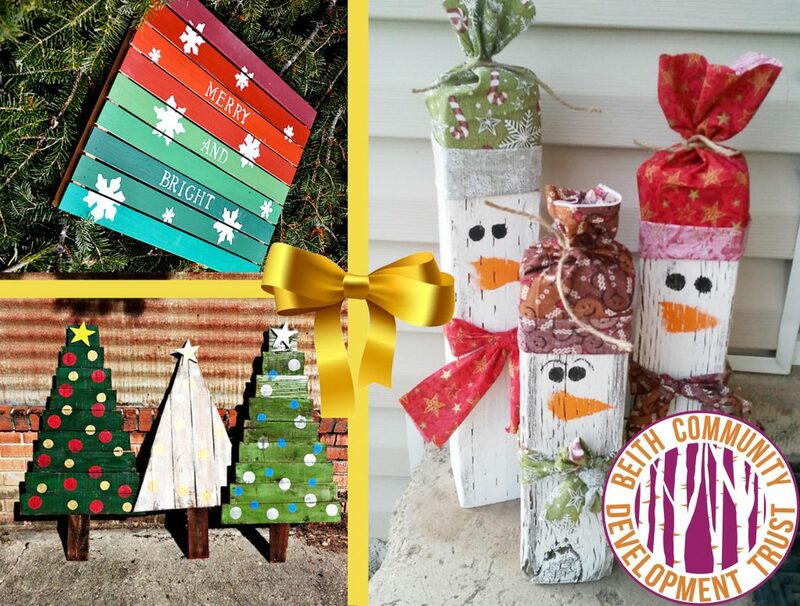 Also our creative skills which we built on through using our imagination to design and express our own unique creations through painting and drawing. Producing our own jigsaw puzzles and masterpiece mugs. Well done everyone! 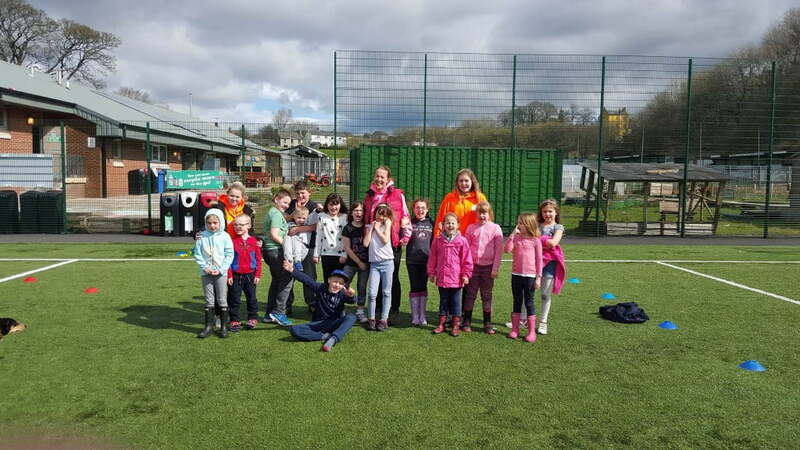 Two organisations based in Kilwinning and Beith, striving to improve and strengthen their communities through people led activities, have been awarded a share in £300,000 Lottery (Monday 14 March). 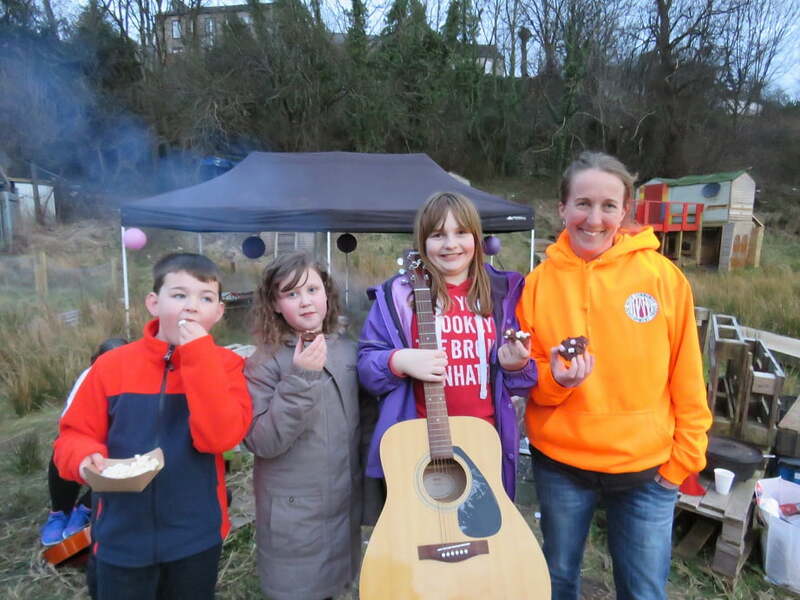 The Big Lottery Fund’s medium grants for community-led activity, which launched in November last year, aims to address inequalities in Scotland by supporting ordinary people to implement positive change in their areas. 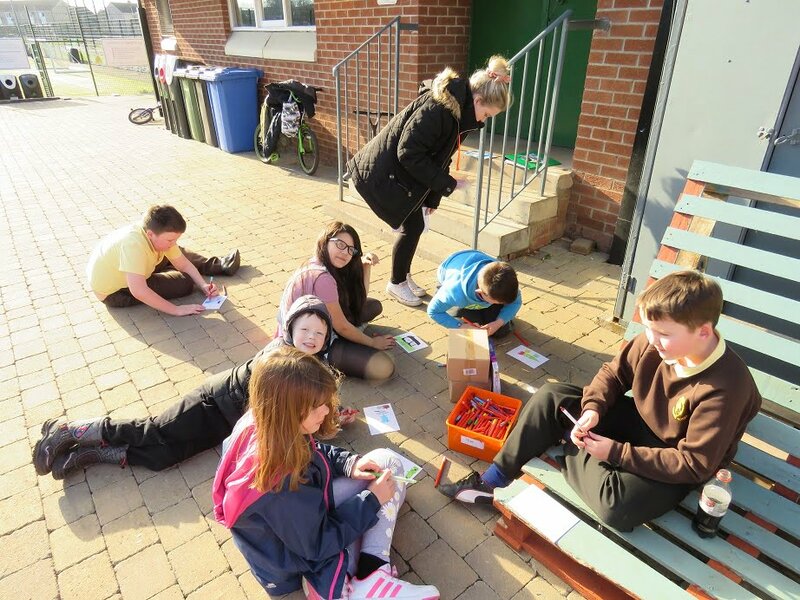 Ayrshire Communities Education and Sport (ACES), celebrates £150,000 funding over three years, to deliver a variety of activities in Woodwynd, Kilwinning, in response to needs established in and by the community. Some of the activities locals have asked for include: sports, recreation, education and holiday programmes for children, lunch clubs for older people, community garden work, a bike track, a women’s clinic, employability & welfare advice, as well as a large number of classes delivered in the local community centre. 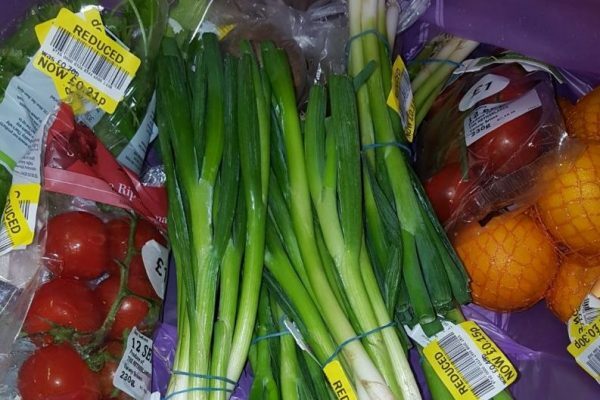 It is expected that over the length of the project up to 300 local people will benefit. 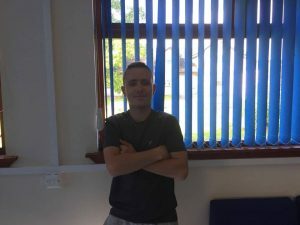 Whilst much of the work ACES deliver is general sports and youth activities, they have many specific issue based programmes too, for examples, No Knives Better Lives, Suicide Awareness and Legal High Awareness. 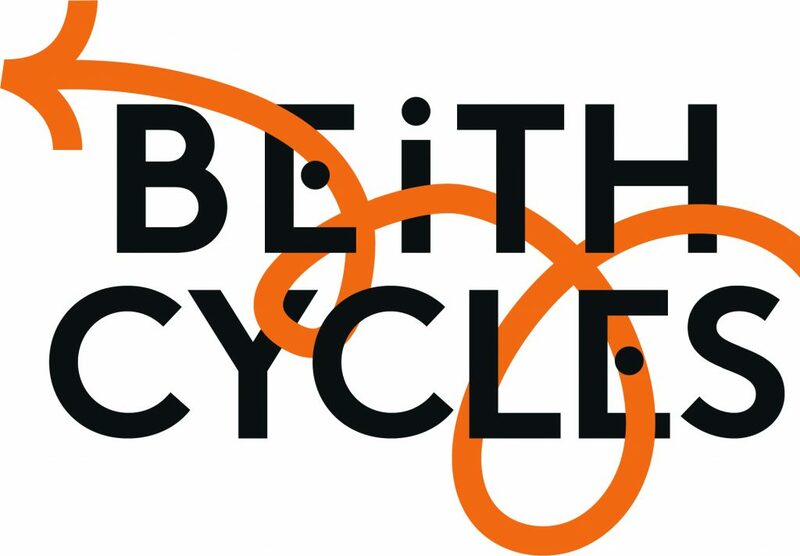 Beith Community Development Trust (BCDT) is celebrating £150,000 funding over five years and was formed from an alliance of locals interested in health and well-being and sports, but with limited and poor availability to facilities in the town. 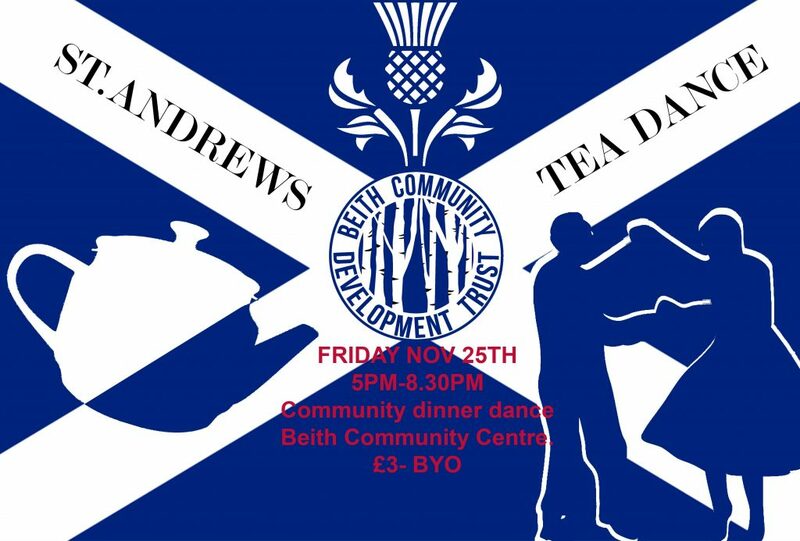 To ensure support goes to locals who need it, BCDT is controlled by a membership strategy limited to Beith postcode holders. It is estimated that 500 people will be involved over the five years. 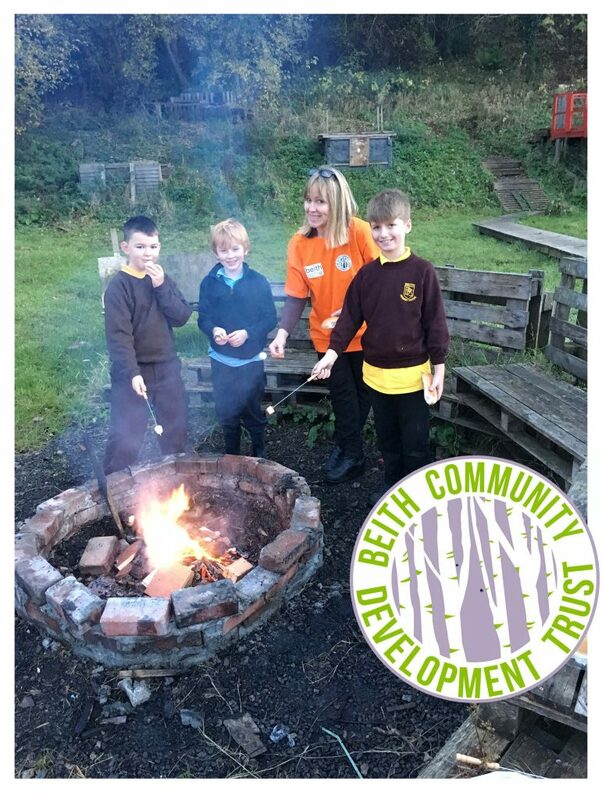 Beith Trust also offer a fun outdoor activity called Soup Group, where young people build dens and create arts and crafts before enjoying some soup around a campfire together and playing campfire games. 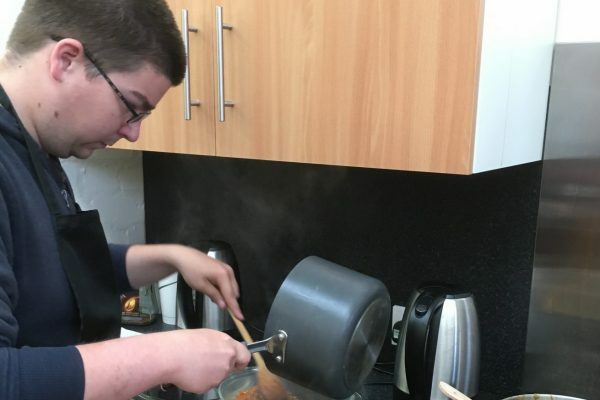 Two young people who has been reaping the benefits of the project are Pauline and Dylan. 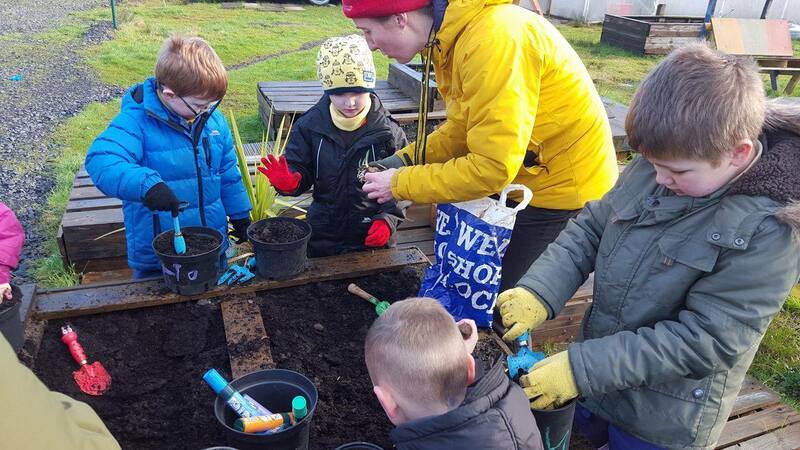 Maureen McGinn, Big Lottery Fund Scotland Chair, said: “This funding aims to support communities across Scotland to improve the places they live and the well being of those facing challenging circumstances. 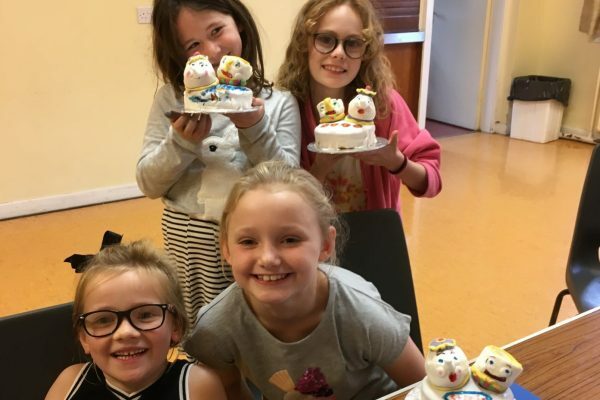 The Big Lottery Fund Scotland is focused on helping people and communities most in need throughout Scotland through its five-year £250m funding scheme as well as small grants schemes Awards for All and Investing in Ideas. Since March 2007 Big Lottery Fund Scotland has taken devolved decisions on Lottery spending, the Committee, led by Chair, Maureen McGinn plays a strategic role in the future direction of the Fund in Scotland. A lot of fun and games had with friends this week at Soup Group beginning with a game of ‘feelings jenga’ where we each took a turn around our circle of friends to meticulously remove a feelings labeled block from the jenga tower. We then patiently listened to when a time each of us felt ‘happy’ or ‘proud’ etc. All of which greatly improved our team building skills and confidence to share our emotions. Excitingly we then moved on to a treasure hunt game where we foraged the garden and forrest for various random objects on the list such as something; stripey, smooth, blue and lots more. All of which encouraged us to use our brains and observational skills to scour every nook and cranny of grass, soil, logs and treehouses in order to find the desired items which most definitely brought to the surface our competitive streak. To continue our evening of activity we then had multiple games of hide and seek which depleted our energy and most definitely required some well deserved snacks. 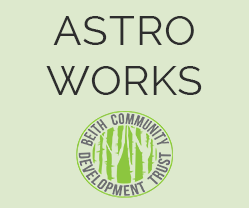 A great end to an action packed day at the astro check out our photos here. See you all next week! 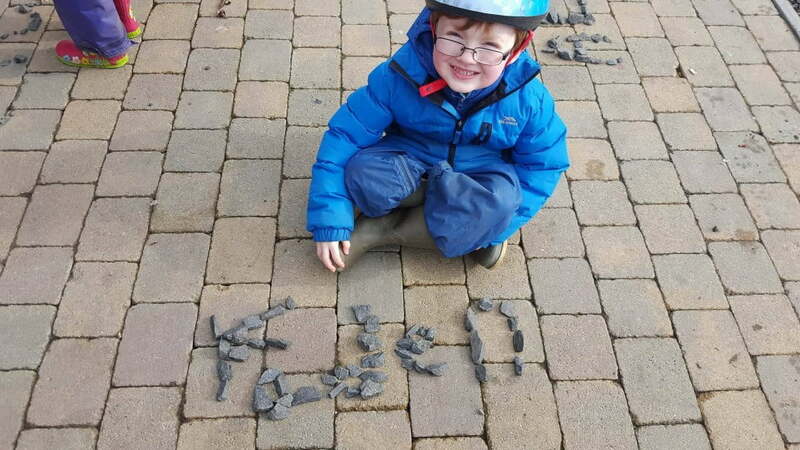 Another fun filled morning at Nurture Group this week consisting of exciting outdoor activities with friends! First of all we began with checking up on our previously planted tomato seeds in the poly tunnel, then with hand trowels, hand rakes and gardening gloves intact we went onto planting more bulbs in the fresh soil aswell as planting some fresh flower beds which we will observe over the coming weeks as they sprout from bulbs to beautiful flowers! After putting our agricultural skills to use we began a game of hide and seek. We set off running through the garden peering and ducking behind every facet of the forest and tree houses in search of the perfect hiding places – some successful some not so much! To finish off a great morning we raced back to school to get in our exercise for the day of course. 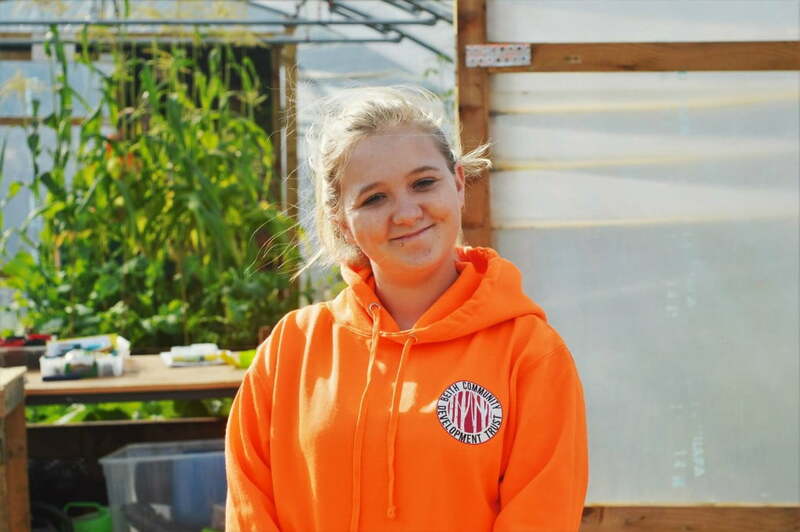 We can’t wait for next week to check out the progression of our plants in the polytunnel! Well done everyone! Yesterday I had the pleasure of going to watch the Beith Juniors Community Girls Football Team do their PlayMaker Award. 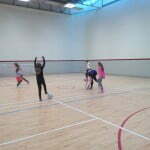 This week’s activity was ‘Area Size’ – the girls were put into pairs of two with one ball between a pair they then had to meticulously pass the ball to each other the first pair to get to 5 passes had to shout a word one of the girls said, we had great fun with this shouting words like ‘Bingo,’ ‘Victory’ and ‘Unicorn.’ After each round each girl took two steps back until they were at opposite ends of the hall and again started to pass the ball to each other – this time the balls were going all over the room and no one was really in control. 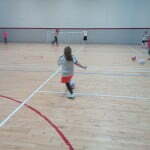 After we gathered together to have a group discussion the girls talked about how difficult it got the further apart they moved as it was harder to stay in control and get the ball to their partner. They discussed what would be a good solution to their problem and decided that the younger girls were not to move back just the older ones and this seemed to work perfectly for them. 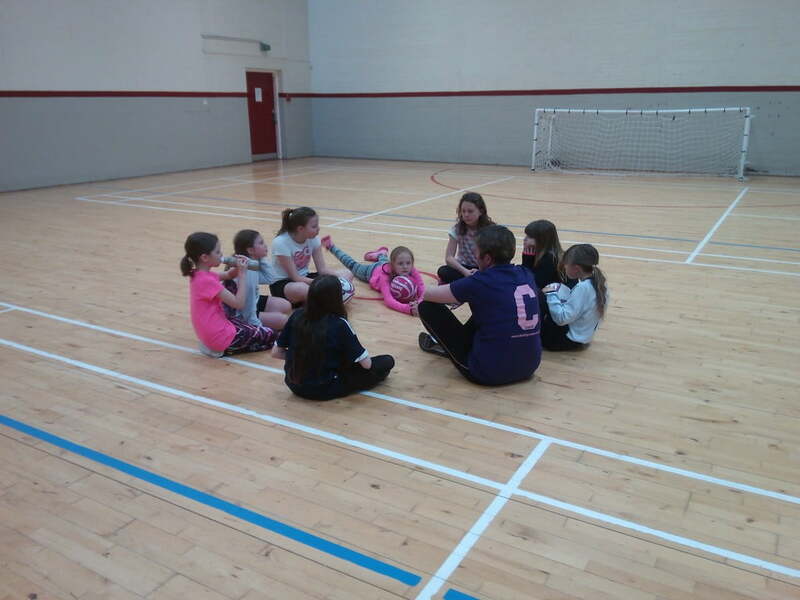 The girls at the end had a great understanding of area size and different people having different capabilities. Well done girls.